© 1966, The Decca Record Company Limited, London. Made in Holland. Printed in The Netherlands. The rim-text on the labels run from 7 o'clock to 5 o'clock. This version has the same cat. no. 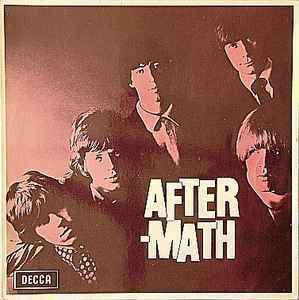 as The Rolling Stones - Aftermath but the labels are slightly different. Another version Aftermath has different labels and a slightly different cover. This album version of "Out Of Time" is nearly twice as long as the single release and has a different, more "minimal" arrangement. The title of A1 is misspelled on the back cover as "Mothers Little Helper".